Farming might not be the first option that springs to mind when thinking about which careers you’d most like to see simulated in video game format, yet this series is a hugely successful one that has been going for some time. 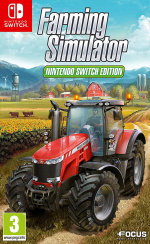 Farming Simulator: Nintendo Switch Edition is the latest offering in a franchise that has spanned across multiple console and mobile platforms for almost ten years and, effectively taking last year’s Farming Simulator 17 for a portable spin, it is hoping to be the definitive handheld farming experience. The attention to detail and realism of this game is incredible; everything from the real-life brands of farming vehicles to the fluctuating market prices for produce and livestock has been truthfully represented. In fact, this doesn’t really feel like a game – instead, it feels like you really have woken up and started your working day. You’ll be taking on a whole host of farming duties – ploughing and cultivating in the fields, managing and selling animals and their produce, managing your own workforce of employees, and so on – and every single step needs to be carefully planned to make sure that you are making profit. You see, whilst there isn’t really any specified goal in the game, you’ll likely want to be working towards seeing your farm grow into your own empire; you’ll need to be efficient to achieve this. At the start of your career the game will give you some quick tutorials for using various vehicles, how to manage your fields and navigating certain menus, before completely leaving you to your own devices. From there, the world opens up with literally no indication of what to do next. This can feel incredibly daunting; there are numerous fields, a town centre with shops for the equipment you’ll need and places to sell your produce but, unless you’re already a farming expert, you’ll still have no clue on what your next move should be. The game has some incredibly extensive help menus (including information on what tasks can be done and how to do them) but this was the first sign of Farming Simulator’s main problem. If you’re a farmer, or if you know the ins and outs of farming through some other means, you’ll stand a chance of progressing with ease. If you have no idea on the other hand (which is the situation that we were in), the wealth of information thrown at you - coupled with the fact that you are just launched into the deep end - can be extremely overwhelming. After the initial tutorial we were left sitting in our tractor feeling utterly hopeless and underprepared. To properly understand this game as a farming novice, you will likely have to properly study the menus and guides provided, learning what specific task each vehicle or tool can do and how every aspect of a farm needs to be cared for. It genuinely felt like we had gone to a real farm, suddenly having to manage it with no experience whatsoever, and it felt rather stressful. Thanks to this, Farming Simulator: Nintendo Switch Edition is a difficult game to review. On the one hand, it does what it sets out to do perfectly; the amount of depth and detail on offer simply can’t be appreciated without seeing it with your own eyes. Unfortunately, though, it simply cannot work as a video game for all to play – the already potentially niche market the game would appeal to gets shrunken even more by the incredibly complex learning curve. For the sake of comparison, Stardew Valley offers a farming simulation experience that is both simplified and then combined with other gameplay elements to create something stress-free and fun. Farming Simulator does nothing of the sort; instead of adding more ‘game-like’ activities or altering the real experience to create something consumer-friendly, it sticks to the absolute realism of the job that it is simulating. If that means taking a literal hour to harvest a field and drive the wheat it produces to a selling location, then so be it. Both approaches are equally as valid and having these options to choose from is fantastic, but make sure you are aware of what you’re getting into before splashing the cash. 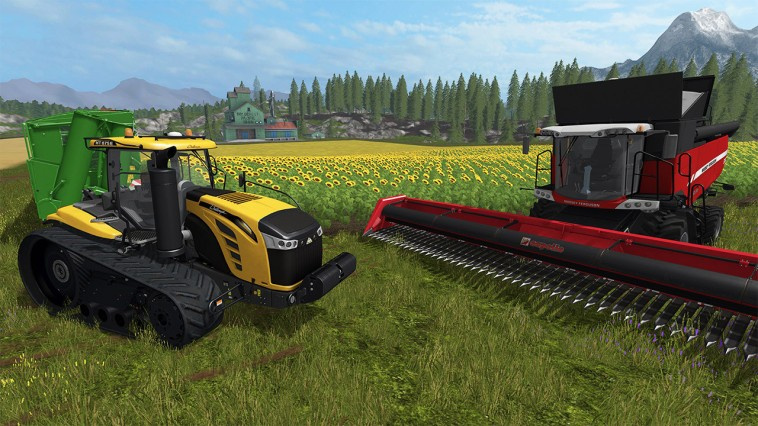 Farming Simulator is a very serious, very long-term style game that will only reward those who are patient and passionate about farming. In terms of the game’s performance on the Switch, everything runs along very smoothly indeed. It is instantly clear that the love and care for the game’s visuals was almost entirely directed at the officially licensed vehicles and tools featured in the game; each different vehicle type and their accessories look great, with decent engine sounds and an in-car radio making them even more enjoyable. The scenery takes a small hit because of this, though – whilst it is never offensive by any means, crops will noticeably pop onto screen in the not too distant space in front of you and the animations for humans are a little basic. This doesn’t take away from the game’s playability in any way – the practicalities of the jobs and your management of the farm are the key aspects – but it is perhaps worth noting nonetheless. Farming Simulator: Nintendo Switch Edition is definitely one for the farming fanatics – and not really anyone else. If you’re interested in farming from both practical and management points of view – and have an awful lot time on your hands to explore that interest – you won’t find a better way (apart from perhaps a real farm) to experience it than this. If you were hoping for a more casual and easy-going experience to play out a mild interest, however, this is not the game for you; the intense realism and complexity of the game’s core concept will be far too overwhelming for most players. Giants Software has done an amazing job at making this feel extremely real – whether this is for better or worse depends on you as an individual. I was raised on a farm and I miss it. I used to dream of moving to the city as a kid, but city life is awful and noisy, I’m finding out. I’m seriously considering this game as a way to escape the city and return to my roots. Just wish it wasn’t quite as expensive. I'll be picking this up - this is the sort of third-party support I never thought we'd be getting on Switch this soon. I think this game looks great, 7 seems to be the score I've seen elsewhere. So why has it lost marks? Is it because it's too difficult for casual players? Should it lose marks because noobs can't play it? Apart from that it seems great. I personally wouldn't dock it marks for that reason. I will for sure buy this at some point. 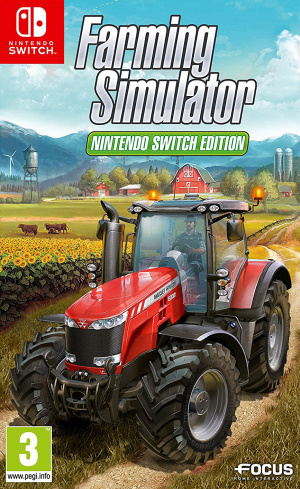 "Thanks to this, Farming Simulator: Nintendo Switch Edition is a difficult game to review. On the one hand, it does what it sets out to do perfectly; the amount of depth and detail on offer simply can’t be appreciated without seeing it with your own eyes. Unfortunately, though, it simply cannot work as a video game for all to play – the already potentially niche market the game would appeal to gets shrunken even more by the incredibly complex learning curve." Personally I wouldn't downgrade the score for being niche. If it does the job of being a farming sim perfectly, then it sounds like it warrants a 9 at least. Sure it might not be much fun for casuals, but casuals shouldn't be expecting fun from a realistic sim. It's a very different type of offering to Stardew Valley. I appreciate NL seems to take the perspective of 'a video game for all to play', but it just seems a bit harsh on the game. I'm not a big fan of Football Manager anymore as it's become increasingly sim-like in its application of agents, media and player unrest, but that doesn't mean it's quality is any less, just means it's not my thing. 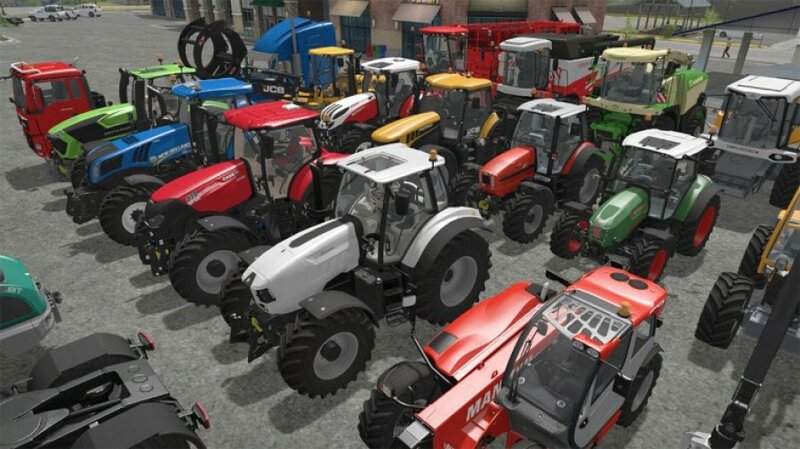 "The attention to detail and realism of this game is incredible; everything from the real-life brands of farming vehicles to the fluctuating market prices for produce and livestock has been truthfully represented. In fact, this doesn’t really feel like a game – instead, it feels like you really have woken up and started your working day." - attention to detail should be rewarded IMO. Scores should be based on the quality of the software, IMO, and not whether or not the software is suitable for the reader. The text can do that job of providing distinction. This review reads like a 9 or 10, but with a limited audience. It's a great review, I just think it would be fair to the game to give it a score it reads like it deserves. Agree with @gcunit the score shouldn't be marked down on the merit of being niche, especially as in this case it seems like it's a really good simulator. This was a great review. I now know this is absolutely not for me, as it seems to offer none of the escapism I want from games like this. It's like playing Stardew Vallew trying to min-max everything instead of just relaxing and soaking in the game's world - may work for some people, but no thanks. 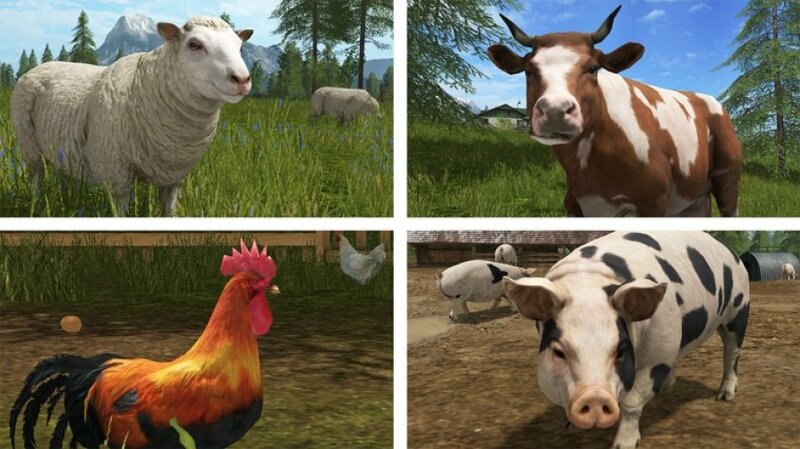 Farming Simulator, now you can play at an actual farm! @SLIGEACH_EIRE The game doesn't have a manual of any kind. Just tutorials. I had to look online at strategy guides for older versions to figure out how to switch to cockpit view (press right stick). That is definitely a problem. But honestly, I love the game for what it is. My son is 3 and is begging to play this game whenever possible. We start up a tutorial. He drives the tractor into oncoming traffic and eventually into the river. I even heard there's an actual game to it too. But yeah, old school simulation with some honestly nice graphics. If what I just said excites you, pick it up immediately. @yeayeanaynay Which I am planning to do soon. $50 dollars for a farming simulator? Lol!. It`s SIMULATOR - which SIMULATES things, not the fantasy like STARDEW VALLEY (which is a great game),so the points shouldn`t be taken away here. @Mr_Pepperami Hay... those jokes were corny. @Mr_Pepperami I'm glad its not a load of CROP. They could COMBINE it with a petting zoo simulator. I might PIG this one up. @yeayeanaynay I wouldn’t say there is much smog in Southwest Missouri, but it is very noisy where I live. I miss hearing the birds sing and tending to a garden. Great review! The game seems overpriced to me, but I haven't played any version of it before, so maybe it's right on target. What is the framerate? From videos it looks like the target is 60, and it hits 60 most of the time. True? @Mr_Pepperami It's ok. Don't be sheepish about it.. we're all just horsing around anyway. @Milton_Burle Oh man.. if they did that, I'd say they would have had a game that was the GOAT. As is... it's not too baaaad. The review is well written, but doesn't match its score. A game should NOT lose points based on how large of an audience it appeals to. It should be rated based on how well it delivers to the audience it's actually targeting. Most games ARE targeting a large audience, but things like super technical simulations clearly aren't. As someone who will probably never buy this game (love sims, don't care for the subject matter), sounds like it should have been given a 9 or at least an 8. When reviewers punish games for being niche in mass, they're lowering exposure by way of acclaim and playing a role in keeping those games niche. @yeayeanaynay No cows here, all that ranting left me a little horse though. @BYTZ007 pull the udder one. @Mr_Pepperami Can't. I'm too chicken. Hmm. I'm originally a city boy that has lived in the country for 7 years. Thought this would be right up my alley since I'm in farming country and loving it. But, I'm not a farmer. I was wondering if Stardew Valley would be a better fit for me and it sounds like it is from this review. Cheaper too. Bring on the fishing sims and I'll be right there. As for this one, don't think I have the patience right now to learn all the neccessities this'll require to enjoy. But glad we got it and isn't a quick cash in to boot. @Pupito It doesn't have to be made for anyone. It just has to be fun, and fun is entirely subjective. I don't really care about farming, despite living in the country surrounded by farms. However, I do love management sims - Roller Coaster Tycoon, Planet Coaster, Evil Genius, Theme Hospital, etc... The way this review reads makes it sounds like I should like it (From a management perspective) but then basically says you have to be extremely interested in Farming Sims. Is this truly a farming sim (As in, flight sim, racing sim, etc...) or is it a "Sim" genre game, like Roller Coaster Tycoon, Zoo Tycoon, etc...? Not sure if I'd enjoy this or not. It's safe to say this isn't your garden variety game. As long as there are no bugs, then the game is probably grade A. They have been churning out these games though year after year so I wouldn't be shocked if this didn't yield the results they were looking for in sales. Bottom line, moove over other farming sims... this takes the blue ribbon. Don't worry guys, these games get discounted quickly. 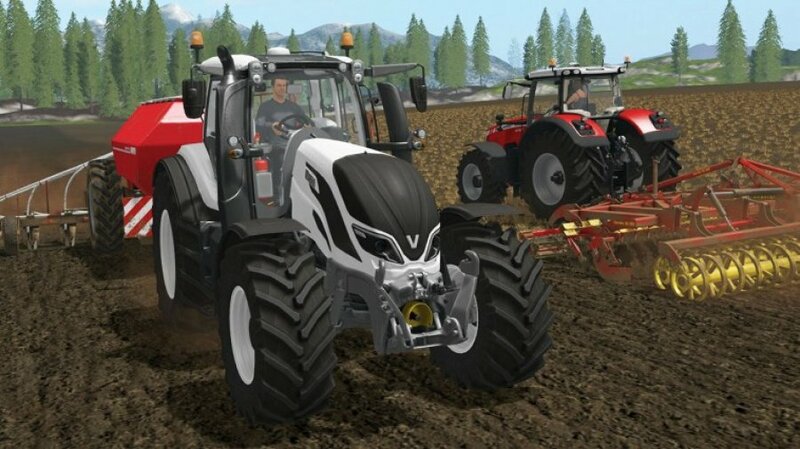 "After the initial tutorial we were left sitting in our tractor feeling utterly hopeless"
Didn't think NL would be such a de-tractor of this game. Man-ure really overdoing it with these puns. @BYTZ007 someone hire this guy as the official NL pun expert! @Pupito I've been playing them longer than that. I'm not sure individual circumstances means much though. I've never had a conversation with anyone about League of Legends or Overwatch, yet they're clearly popular. I've had some conversations (though admittedly not many) about this game and (more) about others like Stardew Valley and Harvest Moon. Personally, I'm more interested in this than, say, Doom. I have no interest in being a real farmer. I had my eye on this one. I’m not a fan of hard games due to patcience and time reasons . This still intrigues and will sit on my wish list for a while longer. In the meantime, I’ll give SDV a whirl. Personally I would have liked multiplayer and mod-support like on the other platforms. I really want to buy it though but I know as soon as I do they will announce FS18 with multiplayer. So my purchase is in limbo of sorts. @gcunit Read the scoring policy. They don't and should not score games by quality alone. This 7 looks like "Well we're not really qualified to judge this game because of what it sets out to do, but it SEEMS pretty good for what it is!" If they were actually part of the target audience, then they would have been able to more accurately describe why it would deserve a rating higher than a 7...or go deep enough to find glaring flaws that might send it down to 6-land. Sounds like a great game, but I'm afraid that it might simply use TOO much of my time. I can't work all day and then farm all night! Looks good to me and like many have said looks more like an 8 or 9 out of 10. Too many games atm to get but I do want to look into this game more down the road. @AlternateButtons "Our scores are based on the quality of the game and how the review feels it fits into the other games around it." Nothing in that means they should dock points for being niche. This game doesn't fit into any other games around it - there's nothing else like it. You may as well say "IGN - 7/10 - not Stardew Valley". Bought this upon release and have been very pleased with it. @gcunit Yes, the same can be said about lots of games, including FIFA, Doom, the excellent Etrian Odyssey line of rpgs, etc. We want the complete spectrum of gaming experiences, but when a truly one comes along, we find it too niche and punish it for it. They consider what audiences would enjoy this sort of game. Always. @BYTZ007 HAY you, that was great, you win. I suggest we LEAVE it there, it must be well PASTURE bedtime. If you think of any more puns, LETTUCE know. Had this in my mailbox on release day, and have been playing it regularly since. I've been a fan since 2013, and this port certainly does the series justice. @AlternateButtons Even if you think that accounts for it, my point is that no SIM that achieves what it sets out to do 'perfectly' and that has an 'incredible' amount of detail deserves to get knocked down to a 7 because it's too good at being a sim. The explanation they give for a 9 is just as (if not more) applicable here (going by the text of the review). @Pupito I could say same thing about any video game. Why would anyone play virtual soccer when they could go outside and play it for real? Because they can and want to. There is obliviously a demand for this game, even though it’s not for you. What about those just dance games they keep making? Gotta agree with @gcunit , it sounds like the game is very good at what it does (yes, like Wolverine) and should probably score higher. But I get that a 7 is maybe appropriate for a mainstream audience. I spent my teen years and early adulthood on a farm, and I'm pretty sure I would hate this. Not that I don't like farming, but if I'm gonna work so hard at farming I better have some fresh produce to eat at the end of the day and clean air to breathe. On the other hand, I know a lot of my old mates would be very into it. I'm just more of an escapist when it comes to my games. I'll stick with Stardew or the board game Fields of Arle (which, I gotta plug it, is a really good tabletop farming-themed Eurogame by the master Uwe Rosenberg). "If you were hoping for a more casual and easy-going experience to play out a mild interest, however, this is not the game for you; the intense realism and complexity of the game’s core concept will be far too overwhelming for most players. Giants Software has done an amazing job at making this feel extremely real – whether this is for better or worse depends on you as an individual." It sounds like you are reviewing it for not being what it is. You said earlier it is perfect at what it sets out to do. Just because it isn't a game the masses will enjoy, it shouldn't effect the final score. A 7 isn't bad, but the fact your review says the game does what it intended to do perfectly, it isn't reflected in that score. Can you guys please review Farming Sim 2018 for 3DS? You are the only place to review the first two versions, and I'd really like to see a comparison to both those and this new Switch version! These games are fantastic for their target audience. True labours of love produced to a high standard. I picked up the 2016 version on Android for 10p and even that is excellent. Yes, the difficulty curve is massive, requiring real commitment, but I still found it fun and it isn't even my thing. I would love to see my guilty pleasure, Truck Simulator, on Switch, but there aren't enough buttons. Would need some kind of touchscreen support. Also, @ballistic90, all power to the parents who play this with their kids. When they're done driving their shiny red tractors into rivers, they will more than likely appreciate where their food comes from and learn valuable lessons. It needs a DLC for tractor racing. @gcunit I agree with u here. If the games is good it should be rewarded. I mean this is a sim game and looks like it does that perfectly. So, like monopoly, this game suffers from not being the reviewer's personal preference, despite being good at what it does. At least this game got a decent score this time. Better then Sonic Forces? What king of bizarre alternate reality have I stepped into??? I prefer Cartoonish Farming games than Realistic style. Now, i have less interest with Realistic style. Too boring, too mainstream, too generic. 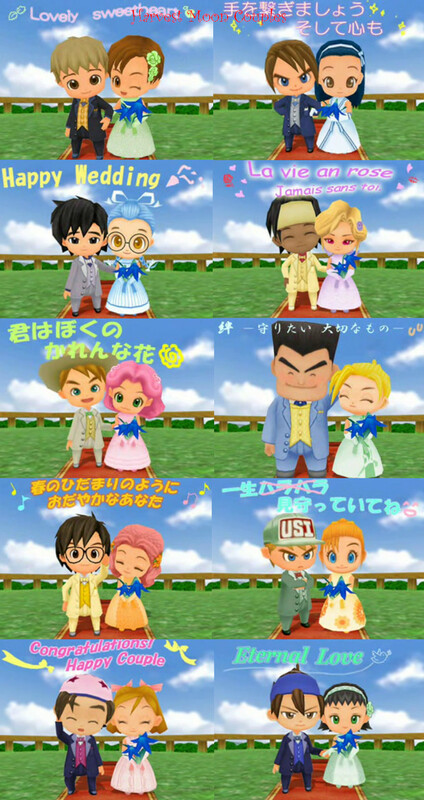 Wanna see another Cute Cartoonish Farming games like Harvest Moon Magical Melody in HD and Open World style. I need to know, can run over your livestock with a tractor? @Anti-Matter Mainstream? This is as niche as it gets man. Harvest Moon is far more mainstream than this. Literally only farmers will appreciate this game. I don't even know what to tell you about being "generic". It's a realistic simulator. It has to adhere to real life accurately. "It's a realistic simulator. It has to adhere to real life accurately." I appreciate the effort from this game to simulate farming simulation. But, for me as Cartoonish lover, i feel the Realistic side just make me Bored. Yes, indeed the graphic is OMG so Realistic so Gorgeous, but i felt Bored quickly. I felt it was too generic. Too Realistic = Boring for me. Where is the Fantasy ? Contrary with Cartoonish. The cuteness of the design are appeal to me. I hardly get bored from Cartoonish style, they are so Adorable to see. I'm just going to put it out there and say this review sounds like you didn't play the game beyond an hour or so. It reads like you started playing a bit, got overwhelmed after the initial beginning and tried to do some stuff briefly (maybe watched some YouTube videos) before you started writing this review. It all looks good to you but it's not for you so you just stuck on a score on what you think it might be like. This is definitely a first impressions more than it is a review. I am supporting this. Don’t forget that one also learns about farming and how to manage a farm. I like good games/simulations where you also learn something! Bit off topic: The game ‘Wulverblade’ is fun, brutal and ‘barbaric’ and I love it. The part where you have short videos of areas in Scotland and other background info about history is to me such a warm welcome addition! You feel how much love was put into the game. @Anti-Matter I agree with you, I prefer cartoony art styles and fantasy stuff as well, and for the record this simulator does not appeal to me at all whatsoever, because I'm not a farmer or into farming. I'm just saying that if you're looking for that stuff in THIS game, you're looking in the wrong place. I'm not sure I see the problem with the review score. It reads to me like the game is great because it's very realistic, but that the steep learning curve will be too much for many. There are ways that could be improved, no? more basic tutorials? It's not that it's niche as such, it's that the way the game is presented (in at the deep end) make it less appealing generally. It's really good at what it does only if you can access it through that learning curve. That's what I got. Anyway, just my opinion. I think I might quite like it, but at the moment there are just too many games. Wouldn't surprise me thing though, every game gets a 9 on this site.